Hope all of you enjoyed the start of VMworld yesterday, and that you’re ready for another full day of awesome sessions, exhibitions and labs! Also, don’t forget to get some time to do any of the great labs that are at the Hands-On Labs area. Yesterday we broke the 30000 VM mark pretty early, we are almost at 35000 right now, can you help us break 40000 today? 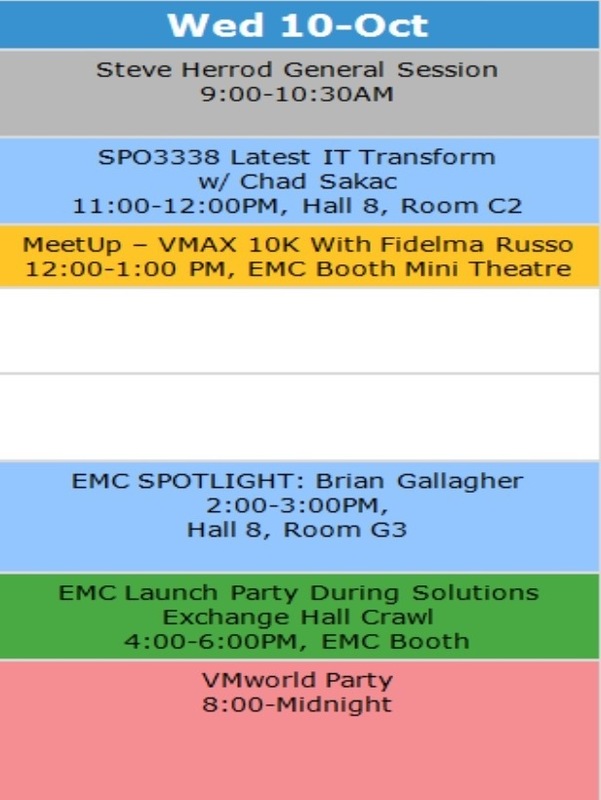 This entry was posted in EMC, How to, Installation, IT Transformation, News, VMware, VMworld. Bookmark the permalink.